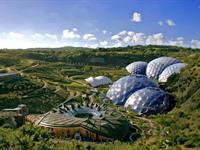 The Eden Project is wholly owned by the Eden Trust, an educational charity. We use exhibits, events, workshops and educational programmes to remind people of our dependence on, and connection to, the natural world. We welcome over a million people every year to join in our events and learn from our exhibits and we try to ensure all our visitors leave knowing something more about their connections to the world. 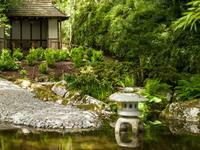 Pinetum Gardens is a place of tranquillity, peace and spectacular garden scenery. The largest ’new’ garden created in Cornwall, family owned, we offer an intimate experience with a personal touch rarely found in our busy world. Lovingly created over the past four decades, our idyllic 30-acre gardens are home to one of the largest plant collections in the county spread over ten individually themed garden rooms within a breath-taking landscape. 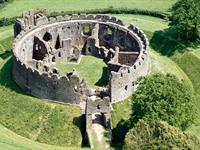 The great 13th-century circular shell-keep of Restormel still encloses the principal rooms of the castle in remarkably good condition. It stands on an earlier Norman mound surrounded by a deep dry ditch, atop a high spur beside the River Fowey. Twice visited by the Black Prince, it finally saw action during the Civil War in 1644. It commands fantastic views and is a favourite picnic spot. 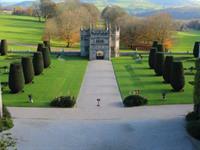 Lanhydrock is the perfect country house and estate, with the feel of a wealthy but unpretentious family home. Discover two sides of Victorian life: from the kitchens, nurseries and servants' quarters, which offer a thrilling glimpse into life 'below stairs', to the luxurious family areas, elegant dining room and spacious bedrooms which reveal the comforts of ‘upstairs’ living. 200 acres of garden history, mystery and romance. Twenty-five years ago, Heligan’s historic gardens were unknown and unseen; lost under a tangle of weeds. It was only the chance discovery of a door in the ruins that led to the restoration of this once great estate. 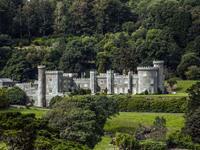 Today, The Lost Gardens have been put back where they belong: in pride of place among the finest gardens in Cornwall. 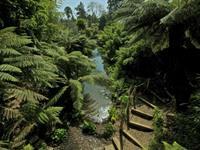 See the 'Lost Gardens Special Offer' above for details of our discounted entrance rate! 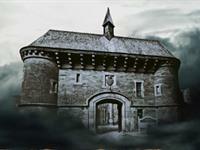 Discover life behind bars as an 18th Century prisoner in the heart of Cornwall. Explore the many cells and features that make your visit to the Jail a fun, educational, and just a little bit scary adventure! Bodmin Jail was originally built for King George III in 1779; today’s jail was built with the help of the prisoners who brought 20,000 tons of granite from Bodmin’s Cuckoo Quarry. Visitors can wander through the depths of the Jail, over six levels, and browse creative exhibits depicting penal life in Victorian Cornwall. It is difficult not to be stunned when you visit Caerhays Castle and its 140 acre Gardens which are the home of the Williams family. The natural beauty of the coastline and its steep valleys, the architectural surprises, the inescapable sense of history and the range of activities and facilities that the estate offers, all set the scene for a wonderful day of discovery and exploration. A traditional pub only a few minutes walk from Penarth Guest House, where many of our guests have enjoyed tasty food and highly recommended it as a great place to eat - we've eaten there ourselves, and can heartily endorse their recommendations! 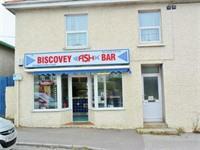 Directly across the road from us is the Biscovey Fish Bar, where excellent traditional fish 'n chips can be bought - we regularly enjoy them ourselves! Our dining room is available for our guests who wish to bring back takeway food - we'll supply plates and cutlery if required, and even do the washing-up!